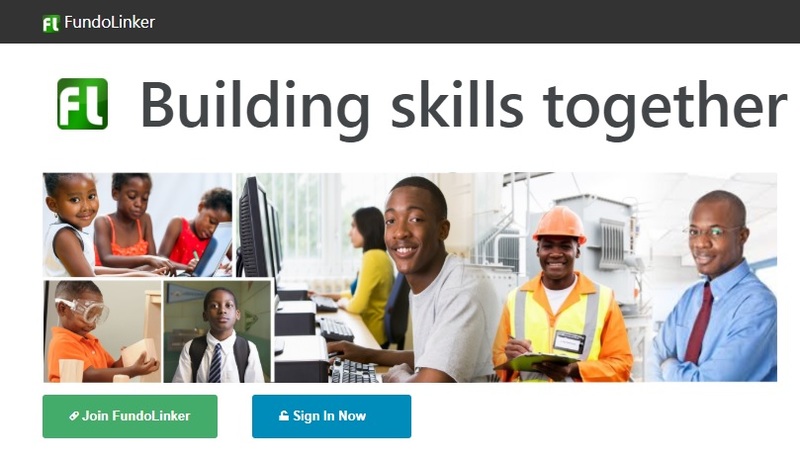 Zimbabwean student support platform FundoLinker has hit 600,000 registered users of its service, through which schools, companies, skilled people and donors are able to work together to provide career guidance, financial help, information and jobs. Launched in January 2016, the bootstrapped FundoLinker has developed a platform aimed at encouraging key stakeholders to collectively participate in fixing problems within Zimbabwe’s education system and help young people make the right choices and access their desired levels of learning. “FundoLinker is a team-oriented platform where primary and secondary schools, universities, colleges, companies and industry veterans converge and collaborate to provide career guidance and professional counseling to students, communicate and interact with students, parents and guardians, provide scholarships to students, craft and implement curricula, and provide industrial attachment, apprenticeship and graduate trainee jobs to students,” Charles Chigoriwa, the startup’s chief executive officer (CEO) and co-founder told Disrupt Africa. The platform allows schools and universities to list available subjects and courses, while companies can enter jobs they need filling. FundoLinker then binds relevant subjects, courses and occupations together to provide a clear subject, course and occupation picture as part of its career guidance service for students. “Our student support platform encourages and motivates skilled people to provide specialised career guidance, professional counseling, mentorship and networking to students in their respective communities,” said Chigoriwa. The startup was launched in response to the fact that across Africa students are in dire need of career guidance, financial help and information, as well as industrial attachments, apprenticeships and graduate trainee jobs. “The main problem behind this is that there is no effective, holistic way to tackle skills building challenges. Primary and secondary schools are on their own. Tertiary institutions are on their own. Companies are on their own,” Chigoriwa said. This lack of unity among key skills stakeholders has lead to poor skill levels among graduates,” he said. “This ultimately leads to unemployment, underemployment, skills shortages, shoddy products, poor demand and poverty, among other negative developments,” Chigoriwa said. FundoLinker has clearly filled a gap, and now has 600,000 registered users in Zimbabwe. Chigoriwa said the startup hopes to expand to other countries within the SADC region by January of next year. “We are also keen to spread our wings to India since we have piqued the interest of some education communities there. Discussions are underway,” he said. First, though, attention is turning to monetisation, with FundoLinker planning on charging monthly subscriptions to companies, schools and industry veterans. “While revenues and profits are key to the survival, growth and development of FundoLinker, our initial focus was on increasing our reputation, building relationships with key stakeholders, and increasing our user base,” said Chigoriwa. This user base is designed to attract a substantial number of schools, companies and industry veterans, as well as crowd donors, to the platform, which the startup hopes will convert into revenues and profits.